accessories: butterfly punch, ticket corner punch, rich razzelberry ribbon and a so saffron brad. I just love your card! The pansy is so realistic, I cant believe you were able to make that out of the butterfly punch! Fantastic! Gorgeous color combination, and I love that pansy! Excellent job! So soft and Beautiful! Love it. Holly, beautiful card. I love love love the butterfly pansy. 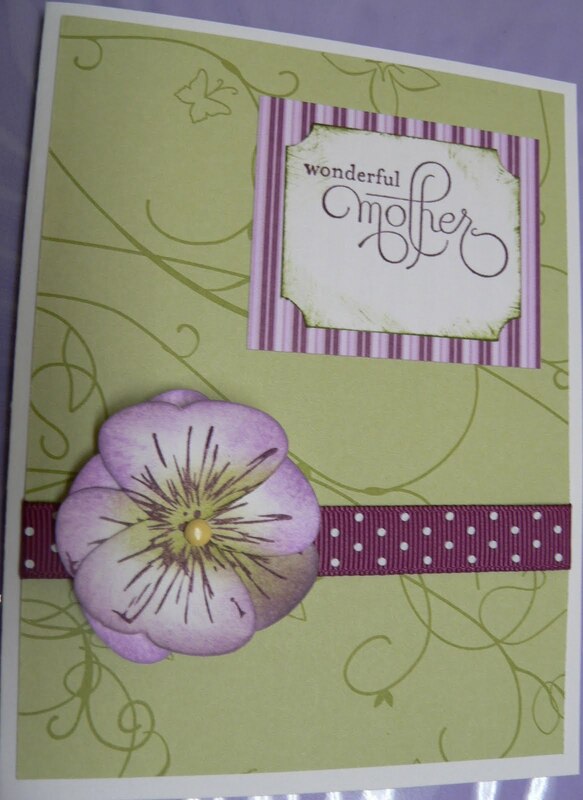 Very pretty card, love the pansy! Thanks for playing along this week.